In the last major test before the trampolineworld championships in St Petersburg, Olympic champion Uladzislau Hancharou finished on top of the podium at the International Gymnastics Federation (FIG) Trampoline World Cup in Loule Portugal, with Zhu Xueying of China taking the ladies title. 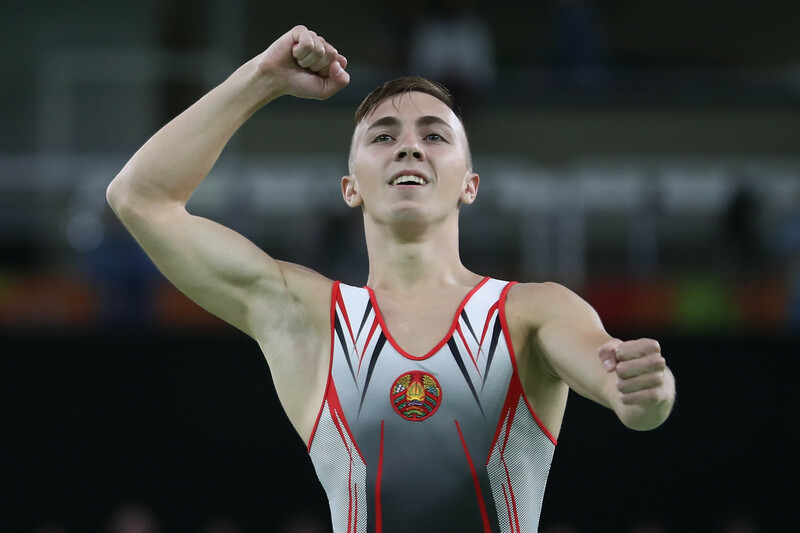 The Belarusian claimed gold in the men’s individual final with a winning score of 62.125 points. World champion Gao Lei took the silver medal for China with a score of 62.125 points. Hancharou’s team-mate Aleh Rabtsau secured the bronze medal with 61.270 points. In a close-run final, only 0.12 seperated 3rd and 5th place, with Dong Dong (China) scoring 61.200 in 4th and Russia’s Andrey Yudin in 5th with a score of 61.150. Over on the ladies’ event, Zhu Xueying was challenged all the way by Olympic champion Rosannagh Maclennan of Canada, but the Chinese competitor came out on top with a score of 57.525 ahead of Maclennan’s 57.105. Great Britain’s Laura Gallagher took the bronze medal with 54.520 points. In the men’s synchro event, Daiki Kishi and Ryosuke Sakai won with 52.400 points. The silver medal went to Belarus’s Uladzislau Hancharou and Aleh Rabtsau with 50.850 points and bronze to Pierre Gouzou and Brenden Renault, who were just 0.05 behind, with 50.800. Rosannagh Maclennan and Sarah Milette of Canada won the women’s synchro event with 46.950 to beat the USA’s Nicole Ahsinger and Cheyenne Sarah Webster, with 46.750. Léa Labrousse and Marine Jurbert of France took the bronze medal with 46.550 points. The next event is the trampoline, DMT and tumbling world championships in St Petersburg, Russia, on November 7-10.